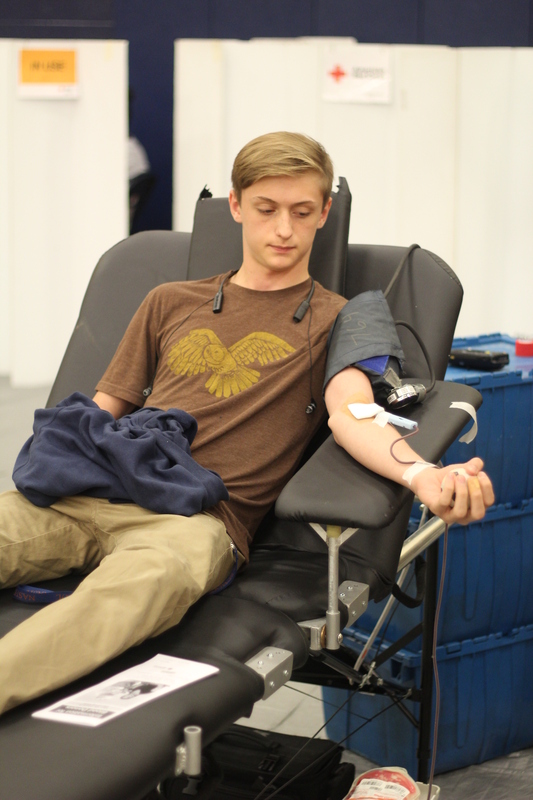 NCS junior Billy Coble donates blood during the Blood Drive on Thursday Aug. 31 in the NCS gym. The Blood drive took place in the gym throughout the entire day, starting in the morning and ending near the end of the day. The Red Cross brought all the needed equipment such as the gurneys, needles, and snacks.